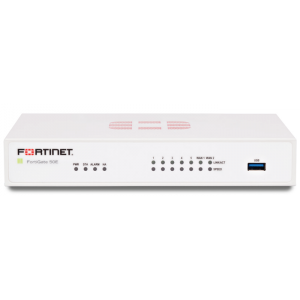 The FortiGate-110C raises the bar for security devices designed for the needs of small-to-medium businesses as well as Remote Office/Branch Office applications. Incorporating the FortiASIC Content Processor for content-inspection acceleration, the FortiGate-110C yields unmatched multi-threat performance in an easily-configured appliance. The FortiGate-110C's accelerated security throughput, high port density, and ease of management allow smaller organizations and office sites to deploy enterprise-class security in minutes, with minimal maintenance required. Its appliance form factor and ease of configuration allow organizations to quickly deploy any or all of its multi-threat functionality. This makes it ideal as a complement to existing solutions or as an all-in-one security gateway with firewall, VPN, intrusion prevention, web filtering, antivirus/antispyware/antimalware and antispam capabilities. ASIC acceleration delivers superior multi-threat security performance. 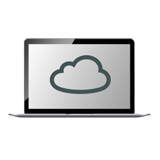 Multiple security technologies in a single device speed deployment, maintenance, reporting and troubleshooting. Integrated, all-in-one security deploys with any mix of security functions enabled to support existing systems and add new functions easily.